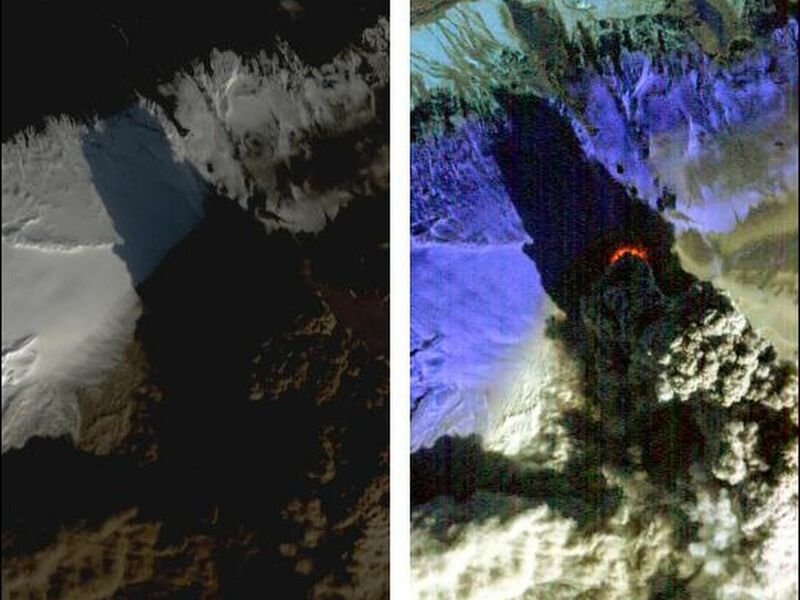 On Sat., April 17, 2010, the Hyperion instrument onboard NASA's Earth Observing-1 (EO-1) spacecraft obtained this pair of images of the continuing eruption of Iceland's EyjafjallajÃ¶kull volcano. 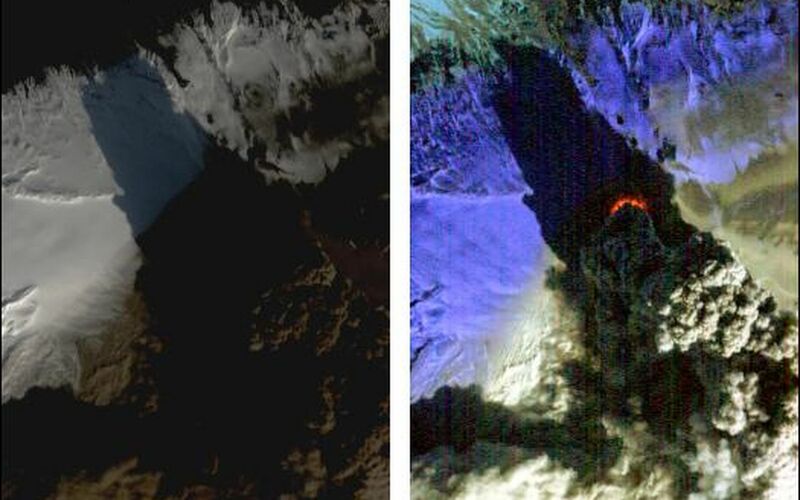 In the left-hand image, created from visible wavelengths, new black ash deposits are visible on the ground, as well as nearby brilliant unsullied ice and snow and the volcano's brown, billowing plume. 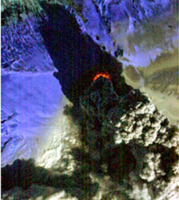 The plume's dark color reflects its large ash content. These fine particles of pulverized rock are carried high into the atmosphere, where they create a hazard for aviation and are carried long distances by the prevailing winds. 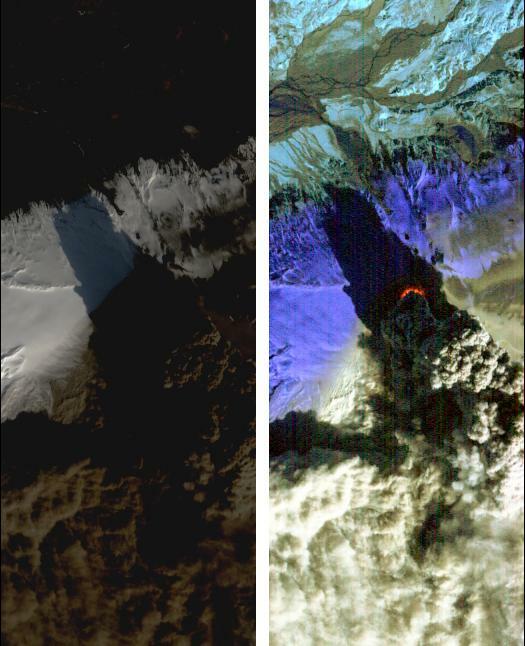 In contrast, the false-color, infrared image at the right reveals the intense thermal emissions (at least 60 megawatts, or 60 million watts) emanating from the vent at the base of the massive plume. 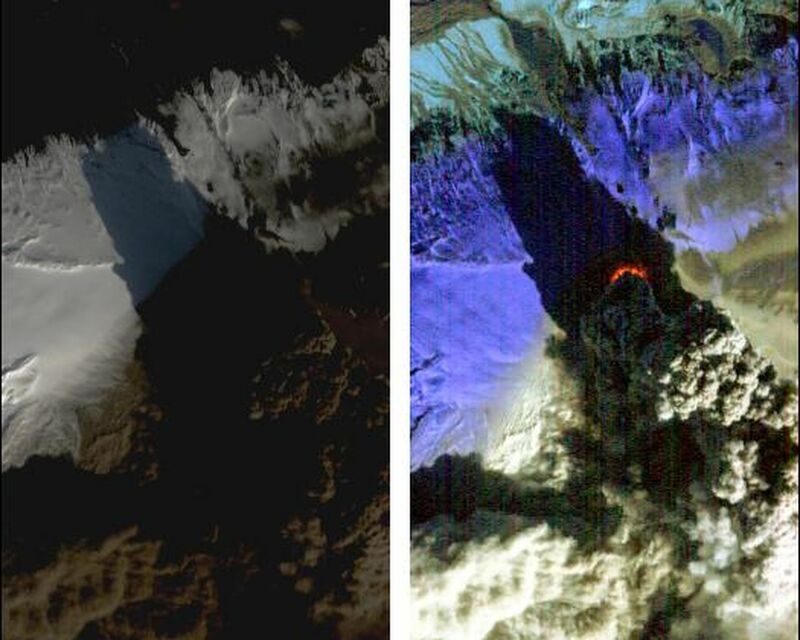 This thermal emission, equivalent to the energy consumption of 60,000 homes, represents only a small proportion of the total energy being released by the volcano as its molten lava interacts violently with ice and water. 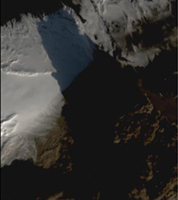 Each image covers an area measuring 7.7 kilometers (4.8 miles) wide, and has a resolution of 30 meters (98 feet) per pixel. The vertical direction is north-northeast.